We, at Solitude Float Trips, are passionate about our rivers, National Parks and the environment as a whole. Our focus is on delivering one product, and being the best at providing our guests with the finest float trip possible. While determined to create a wonderful memory, we also strive to instill in each of our guests a love for the outdoors and a respect for the environment in which we live. 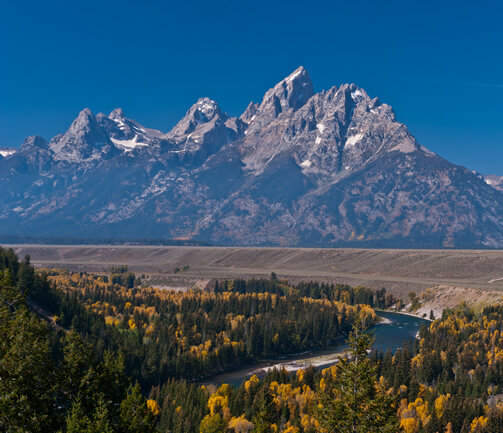 It’s our goal that every individual walk away from time spent in the Grand Tetons wondering what they can do to help protect, conserve and preserve these lands for generations to come. Our guides are professional boatmen with thousands of miles logged each season on the Snake River. They are not only seasoned river runners they are mountain climbers, surfers, skiers, snowboarders, snowmobilers, artists, musicians and much more. Many of us here at Solitude Float Trips are college graduates who left the desk job to someone else instead choosing work and play in the beautiful outdoors. While encouraging a relaxed work atmosphere, our guides are easy-going and laid-back and will provide you with a truly relaxing and memorable float trip.